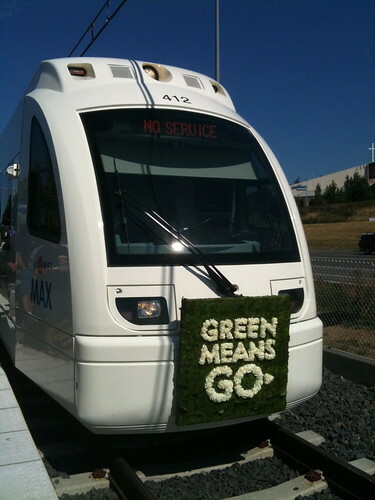 PDX Bus is working just fine with the new green line; TriMet added it to the list of routes, and a new line called "MAX Mall Shuttle". However, if you want to use the "Locate Nearby Stops" then you'll need to "Update the Stop Location Database" just one more time. Here is a picture of the first Green Line train that I took after I got off it! The new itunes 9 removed PDX Bus from my ipod and won't let me put it back on. What's going on with this? Is the new version only compatible with the new software? Hi Richard - that is very strange, sorry you are having trouble. 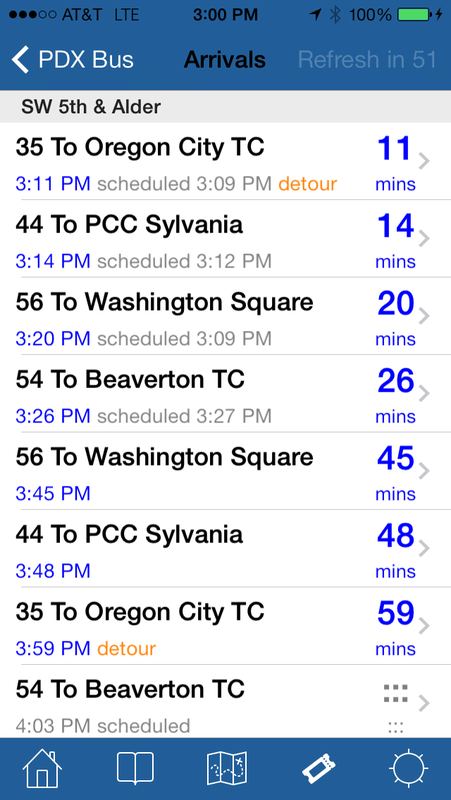 PDX Bus 3.0 will work with iPhone OS 3.0 or iPhone OS 3.1 (or the same versions for iPod touch). I don't know why iTunes won't play nicely! 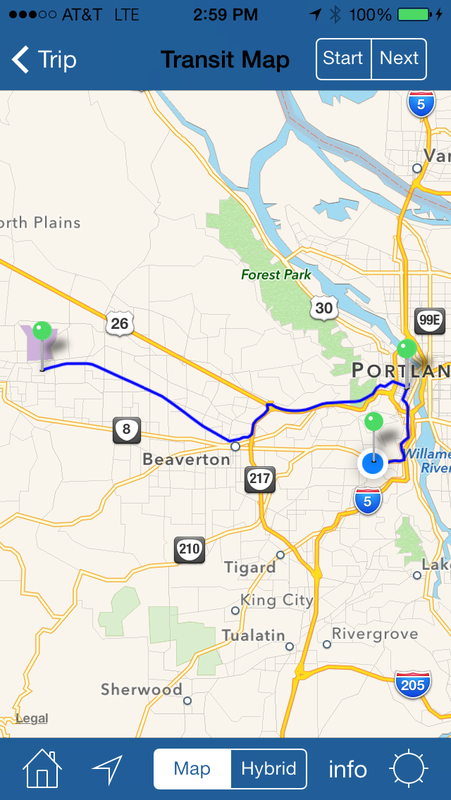 You could try to delete PDX Bus from iTunes and download it again (for free, obviously). Hi there so i installed the new software, 3.1, and now it says there is a network error when ever i look to see if the buses are coming, it says that it's not able to access the internet, and Not able to access Trimet servers, but i can connect to the internet using edge 3G and wifi. ps This is an amazing app and it keeps getting better and better by each update, keep up the good work. To Anonymous - oh dear that is worrying. Please confirm that on the new "Network" page that when you tap on the final tex, it does open Safari and connect to TriMet.org. You could try turning the phone on and off, or maybe deleting the PDX Bus app and re-installing it. 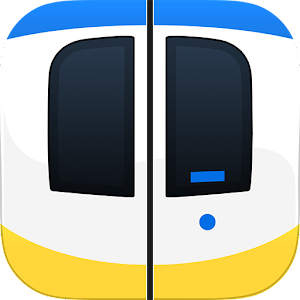 I just double-checked that on a 1st Gen iPhone running iPhone OS 3.1, and a 3GS, I was able to download the new app and connect to TriMet successfully over WiFi. What version of the iPhone OS do you have? I double Checked and it turns out that it will work on wifi but not over edge or 3G, and the trimet page did load on both edge and 3G. i have the 3G running OS 3.1. im just weirded out that it wont work over edge or 3G. Also just so im clear the app was working on OS 3.1 earlier today but when i updated the app is when it stopped working. Thanks - that does make it weird, PDX Bus makes no distinction between 3G, Edge or WiFi, it just checks to see if the Internet is available and then makes the call to TriMet. This latest version did make a small change to that - it uses Apple supplied code to confirm that the Internet is available. This has me worried! (FWIW, my 3GS works over 3G & Edge with this version, however I don't have a 2nd Generation iPhone any more to try). My only suggestion would be to save your bookmarks (by emailing them to yourself) and then delete PDX Bus from the phone. Then use iTunes to put it back. My best guess here is that the way that PDX Bus attempts to see if the Internet is available may be inaccurate - but I've not noticed an issue in my last month of testing. I may have to take it out and do another update to Apple, which will take another week. Anonymous - I have made an update that takes out that extra code to check that the Internet is working - this is the only thing I can think of that can have broken this. It may take about a week for Apple to approve it, but I have started that process. Sorry about that! I'm very unhappy that this has broken (I do this for just for fun :-( ). It does not seem to be broken for everyone (at least one person has commented on the update and did not mention that issue), which is also a little odd. Hang in there - I hope Apple will accept my update quickly. Thanks for all the help on this issue, I will just delete the app and re-install it, off of my computer (since i didn't update the app on my computer). I do want you to know that I use this app everyday for work, school and home. it is my most used app, and it is great, i really do appreciate all the work that you have put into it. and whenever i see someone on the bus with an iphone i try and let them know about it. because it's that good.